I’m a believer in the smart home. The web can definitely make household items much better. 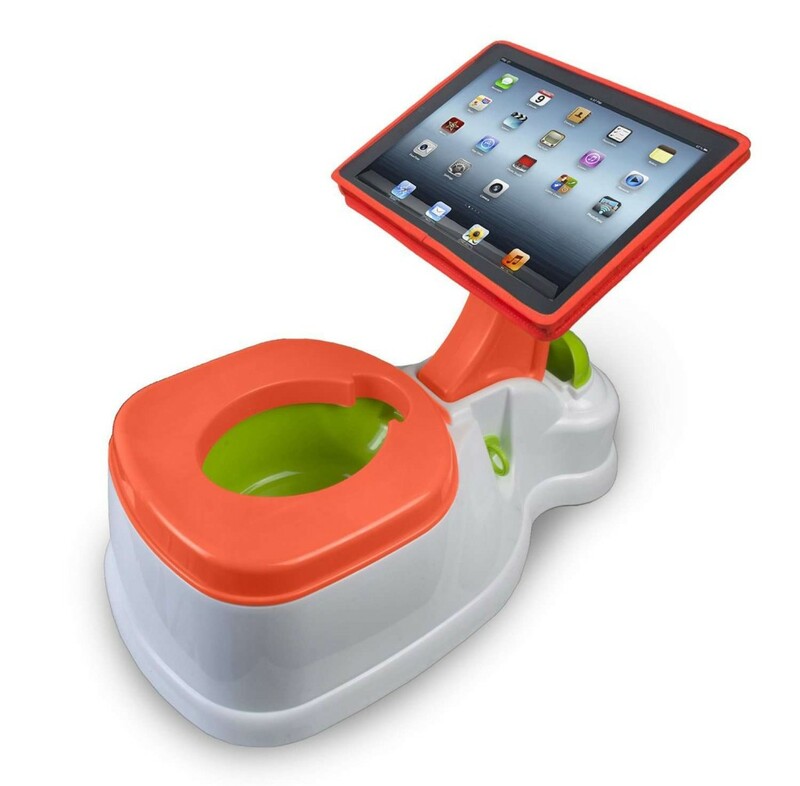 But is this potty trainer a bit overkill? Is this the message we should be sending our kids, and is it safe? CTA’s digital 2-in-1 iPotty encourages the habit that we all do discreetly…taking our phones/tablets into the bathroom. It’s supposed to allow potty-training children to do some activities while they wait and learn. Those dual purposes just don’t seem symbiotic though. The smartphone screen is already one of the dirtiest surfaces on earth (at least until smartphone makers install Corning’s new antimicrobial glass). Bringing that germy mess into the bathroom- germ city – just brings the cleanliness of your screen into another level of disgusting. Do you know where that’s been? Streptococcus (A.K.A Strep), E. Coli, Staphylococcus (A.K.A Staph). All big words for “painful or deadly”. The presence of those diseases is especially scary because the tots and tikes using this already have weaker immune systems than do adults, meaning they’re more likely to contract one of these deadly diseases, and less prepared to fight them. Kids these days already spend much of their lives on their iPads, but they haven’t yet developed many of the bad habits we adults practice. Given the chance to teach kids not to bring electronics into the bathroom, it would be a wise lesson to teach. If you really enjoyed this article… Sign up for our newsletter. Over 2,000 readers enjoy it every week. Sounds lovely right? If you don’t find this disgusting, tell me why in the comments. If you enjoyed this article, give it a share. Just a tweet, or a facebook like would be really appreciated.